As far as criticism is concerned, we don’t resent that unless it is absolutely biased – as it is in most cases. If only it were as easy to do the work of others as it is to criticize their performance. 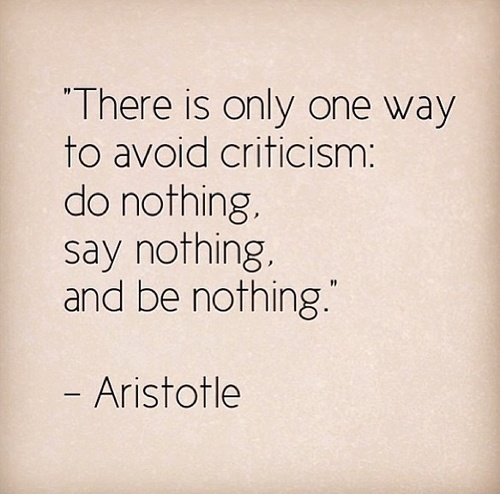 One does not have the right to criticize until he can do the same work without being criticized. It’s a healthy thing to get some bad criticism. I’m still here and I’m fine, but I’d be lying if I said it didn’t get to you reading the negative stuff. As authors, we all expect criticism from time to time, and we all have our ways of coping with unfriendly reviews. Better a little chiding than a good deal of heartache. Faults and virtues are but two sides of the same coin. The barking of dogs does not reduce the beggar’s daily allotment. 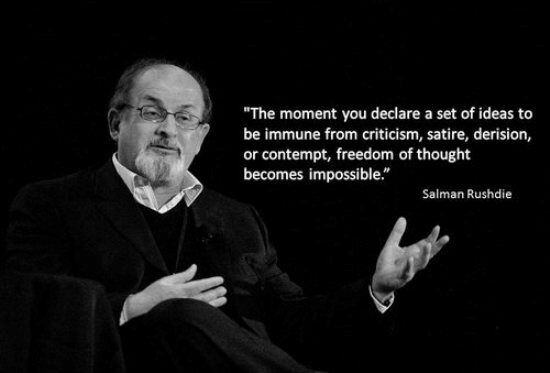 The moment you declare a set of ideas to be immune from criticism, satire, derision or contempt, freedom of thought becomes impossible.